BabyBjörn AB is a Swedish baby products company founded in 1961. Here we go again! Potty training #2 and I can start to see the light at the end of the tunnel. Brie has been showing all kinds of signs of potty-training readiness lately; waking up dry, saying ‘poop’ when she has to go and running into our restroom usually right after she goes. She has an older sister and attends a daycare that has children in her room up to a year and a half older than her in the same class, so she has all kinds of opportunities to learn through observation that big kids don’t use diapers. Yet there has been one major thing holding us back at home. Our potty chair. Dum. Dum. Dum! While everyone assured us that you can easily reuse all of your baby gear with your second child; this has actually proven quite inaccurate for our family in many areas. The potty is one of the things that we can’t reuse. Brie is tinier than Brooke, in fact, she is just off the charts tiny. She’s healthy and all that, just small for her age and Brooke’s old potty chair that was just gathering dust is too big for her. Nope, not kidding. If you have ever seen the frustration in a child who wants to go to the potty but can’t fit on it, let me tell you it is not fun. We searched and checked many places and finally, at Babies R Us, we saw the BabyBjörn Potty Chair and thought, it was the perfect size and shape. We even let Brie sit on it (fully clothed, of course!) in the store and she was excited. This was a Brie-sized chair and had all the bells and whistles without being flashy. 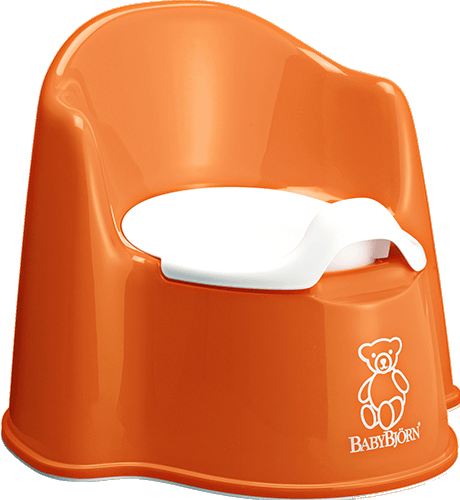 Seriously, we probably should have bought a BabyBjörn Potty Chair in the first place, but what did we know as new parents who had never potty trained? The BabyBjörn Potty Chair has a simple design while still providing comfort and gives a hassle-free experience for parents and kids. The chair has a low seat with sturdy armrests as well as a high back so children are comfortable if they have to sit in their chair for as long as needed. The chair is great for Brie, who is really petite but this would definitely work for children of all sizes since the ample leg room means more confident potty users with fewer accidents. Joy! The plastic on the potty is quite soft and completely free from BPA, PVC, phthalate esters, cadmium, lead, and bromine. While we opted for a nice spongy seat for Brooke’s first potty, we knew to not make that same mistake with Brie. We wanted a germ and mess-free option and the BabyBjörn Potty Chair easily provides that for us. The seat has a built-in splash guard and the inner potty is easy to lift out, empty and clean. Oh, if I only knew about that the first go-around. While this seat also complies with relevant product safety standards, it also comes in a cool design (yes, I’m talking design for a potty chair, I mean you have to live with it for some time in your bathroom) as well as nice bright colors that can complement your bathroom or your child. Another thing we did not think about when we picked out our first potty chair? That is was recyclable! Well, no more worries, BabyBjörn Potty Chair is completely recyclable. I also made sure this seat had a nonskid bottom (moving potty chairs on a slippery bathroom floor = major headache) and the ergonomic design with soft lines is actually comfortable for Brie even sans a spongy germ-prone seat we had before. Sure, potty training is not the most pleasant experience, but it is something all of us parents suffer through yet it doesn’t have to be that bad with the right seat, timing and patience to allow your child the time and want to use the potty on their own. Diapers do not last forever. I promise. We did this once before. We are halfway through now. When we become a diaper-free household, I’m sure you’ll be the first to know. I will be jumping up and down on my rooftop. Until then, BabyBjörn’s Potty Chair is a wonderful training chair that works for Brie and us. Watch! Discover the Advantages of the Potty Chair. About BabyBjörn: Quality, Safety, And Style. 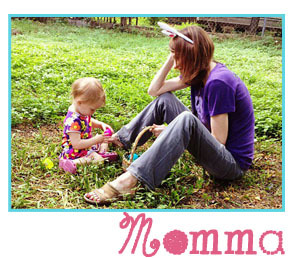 A family owned company headquartered in Sweden, BabyBjörn has been producing innovative childcare products since 1961. Today, BabyBjörn works with an international network of pediatricians to develop products that reflect its core philosophy of quality, safety, and style. BabyBjörn ensures the quality of each of its products in terms of both durability and environmental impact by scrupulously overseeing every stage of the design and manufacturing process. Safety is also guaranteed through rigorous screening by industrial designers, testing institutes, and medical experts. This exacting attention to detail has earned BabyBjörn international recognition for its success in creating products that balance usability with style.